We’re delighted to confirm that BBC Music Introducing will be attending Proms & Prosecco in the Park! BBC Radio Shropshire’s Paul Shuttleworth will be interviewing performers backstage throughout the event and highlights of some of the performances will be broadcast on BBC Shropshire Introducing between 8pm and 10pm later the same day. We’re passionate about giving local performers and emerging artists the chance to perform on a big stage, in front of a big friendly crowd and as BBC Music Introducing has helped launch the careers of previously unsigned and undiscovered artists such as George Ezra, Ed Sheeran and Florence and the Machine, this is a fantastic opportunity for our performers to be recognised! We can also announce that up and coming Staffordshire singer-songwriter Olivia-Mai will be opening this year’s Proms & Prosecco in the Park! 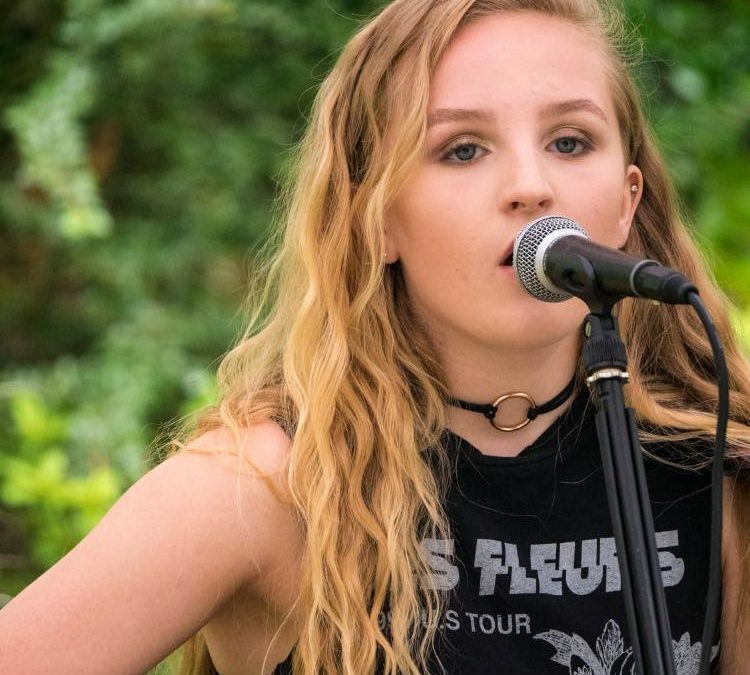 At just 14-years of age Olivia is a very talented singer-songwriter and we think the audience will love her voice and musical style. She will be performing a range of her own songs and some well-known covers in her own, unique style. Her set list for the event is full of great tracks and real surprises! Our other performers include British soprano Mary-Jess, Downton Abbey songstress and winner of the Chinese ‘X-Factor’. She will be joined by acclaimed tenor Jack Foley and adding a real edge to this year’s line-up is String Infusion, an all-female string quartet known for their acoustic and electric string performances in pop/rock/classical crossover style. A range of other talented local performers from across the region will also take to the stage including the renowned Newport Male Voice Choir and A Choired Taste from Market Drayton. We have one final act still to announce, so watch this space for more details!